WEIBER Oil Bath, is a type of heated bath which uses boiling oil as the temperature regulator. Since different oils have different boiling points it is possible to obtain a temperature near to the desired temperature by selecting an oil with a boiling point as close as possible to the desired temperature. The most common oils that are being utilized in oil baths are paraffin, glycerol, silicon oil or cottonseed oil due to their quite odorless characteristics. Double Walled High Temperature Oil Bath is having wide range of application, such as oxidation stability test on oils, greases, etc, or any other test requiring high temperature control having high thermal efficiency. 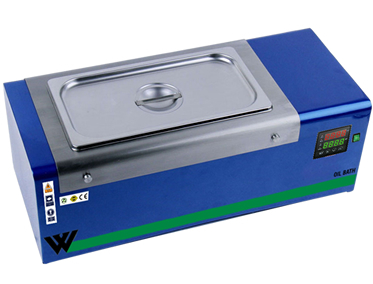 This oil bath was developed for a wide range of testing and meets ASTM specifications for Methods D471, D865, and D1313. Control panel provided on the side of oil bath two neon lights and an ON/OFF switch. Corrosion Resistant interior and exteriors-Corrosion resistant coatings like epoxy coatings are applied inside and outside the baths to prevent against degradation due to moisture, salt spray, oxidation or exposure to a variety of environmental or industrial chemicals/ corrosive agents. Long life nickel plated heating elements are removable for ease in cleaning the tank. Temperature Range & Controller: Temperature range from 5°C above ambient to 300°C. 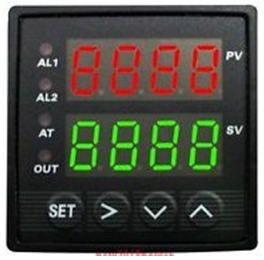 Microprocessor temperature and set point readout and over temperature protection are standard. Oil Bath is having wide range of application, such as oxidation stability test on oils, greases, etc, or any other test requiring high temperature control having high thermal efficiency.